Next month I’ll be travelling to North America for a series of book readings on behalf of The Small Heart of Things. Full details are listed on the events page and all readings are public, so do come along if you’re free and in the area. I’d be very grateful if you could share the events with any friends who might be interested as well. Looking forward to seeing some of you soon – many thanks! Lovely photos. And what a great quote, “caught with ourselves in the net of life and time.” We indeed have put ourselves in a terrifying position: having created a world in which wild things must depend on us for their survival. I’ve done some reading on this phenomenon. 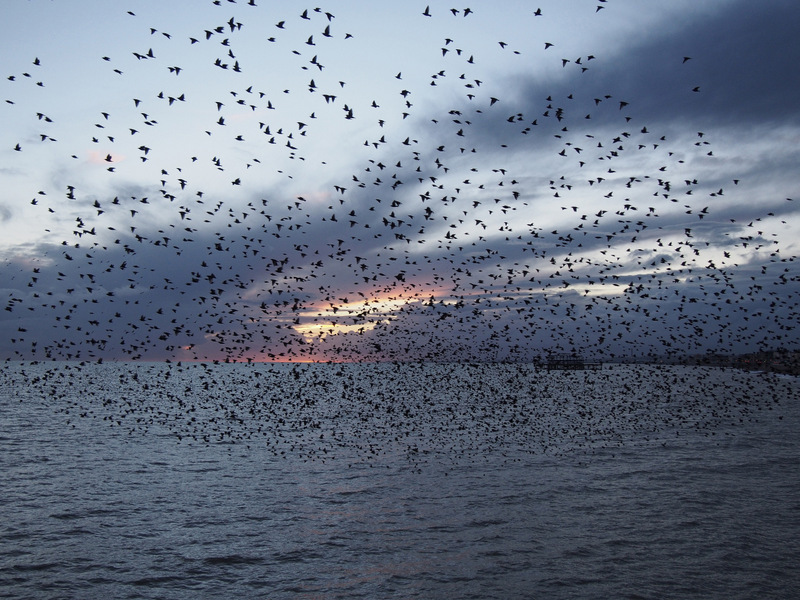 Murmurating starlings have an estimated reaction time of under 100 milliseconds. In this context, “reaction” is probably not an accurate term, for no one can explain how these birds manage to copy one another with such quicksilver precision. Studies reveal that each bird strives to fly as close to its neighbors as possible, instantly adjusting speed and direction to avoid collision. Tiny deviations in the movements of one bird are felt by those around it, each change causing a ripple effect. This synchronized activity has been compared to “criticality,” the point at which a system, poised on the brink of transformation, becomes something else, as in ice changing to water. 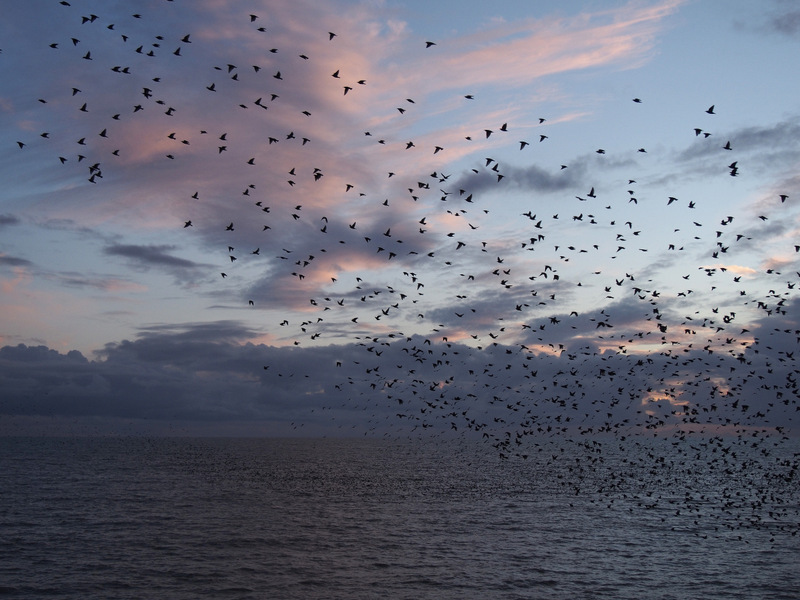 In this view, a flock turning in unison can be considered a “phase transition.” The flock is a system, and each bird is inexorably connected to every other bird. How this criticality is created and maintained is a mystery we will not soon be solving. Thanks ever so much for this wonderful and enriching comment, Jean. The Henry Beston quote, though written some 90 years ago, seems perfectly weighted to describe the condition of human-animal relations today. And the Outermost House, if you’ve never read it, is a tremendous, luminous book. You sing with your words, Julian, and beautifully. Julian, thank you once again for a wonderful post! The photos are lovely. 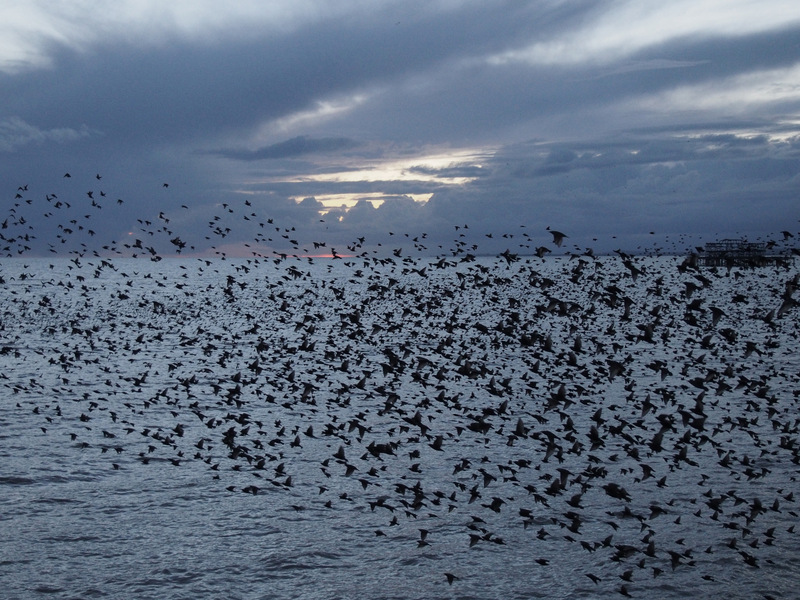 But also thank you for “murmuration” as new word for me – it sounds like a compendium of murmur and admiration, which somehow feels right when viewing a “murmuration”. Also thank you for Henry Beston and his true summing up of the human state – you`ve put me on his track! Good luck and plenty of fun in the US! Many thanks, Charles! 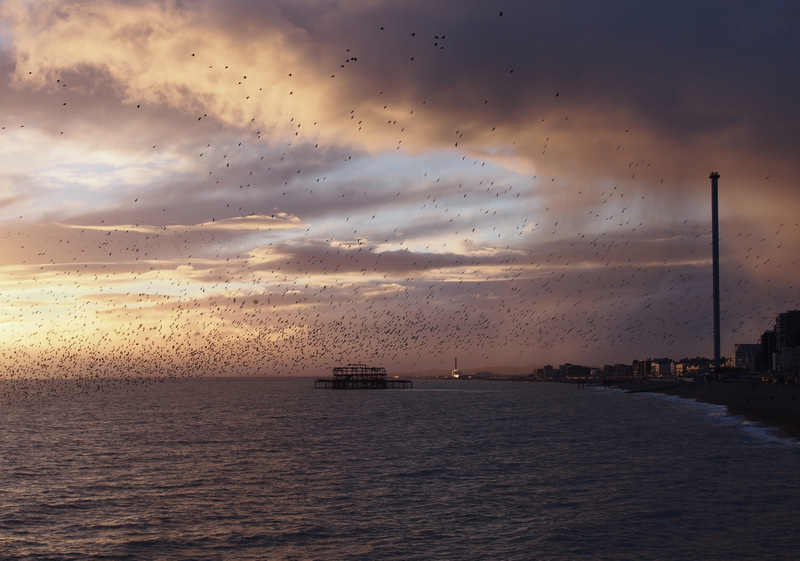 I absolutely love your thought of murmuration sounding like a “compendium of murmur and admiration.” That’s easily the best description of these gatherings I’ve heard in a very long time. Do check out Beston – The Outermost House is a glorious book, and still so relevant despite being written in the 1920s. Thanks for the good wishes and hope all is well with you! My pleasure, Julian! I´ve ordered his book – in fact it was the next thing I did after reading your post!!! Thanks, all is well here! So pleased to hear that! I’m sure you’ll enjoy it very much. Thanks ever so much, Anya! 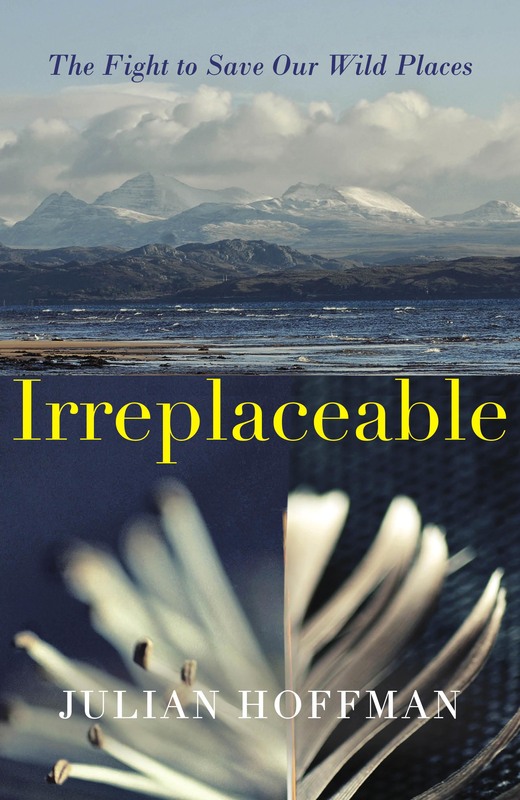 They’re remarkable in so many ways and I’m so pleased you enjoyed the post! You’re very welcome, Naomi – delighted you enjoyed it! Marvellous, Julian. The combination of the opening quote with your own reflections produces a gathering of words that really does justice to the spectacle being described. 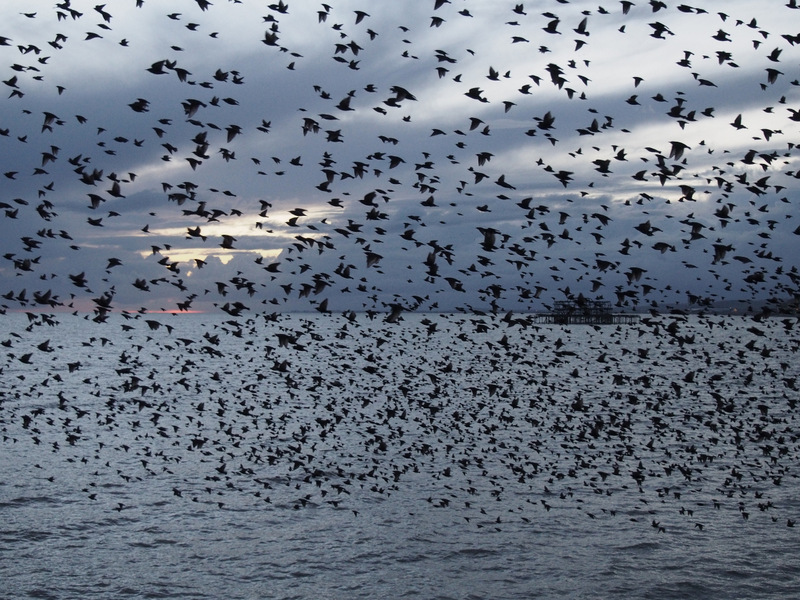 I don’t think I will ever witness a murmuration again without thinking of your ribbons of starlings being spooled into their communal roosts. Thank you for that gift, and all the best for your trip to the USA. Thanks ever so much for your kind words, Alan. I’m delighted you enjoyed the post. 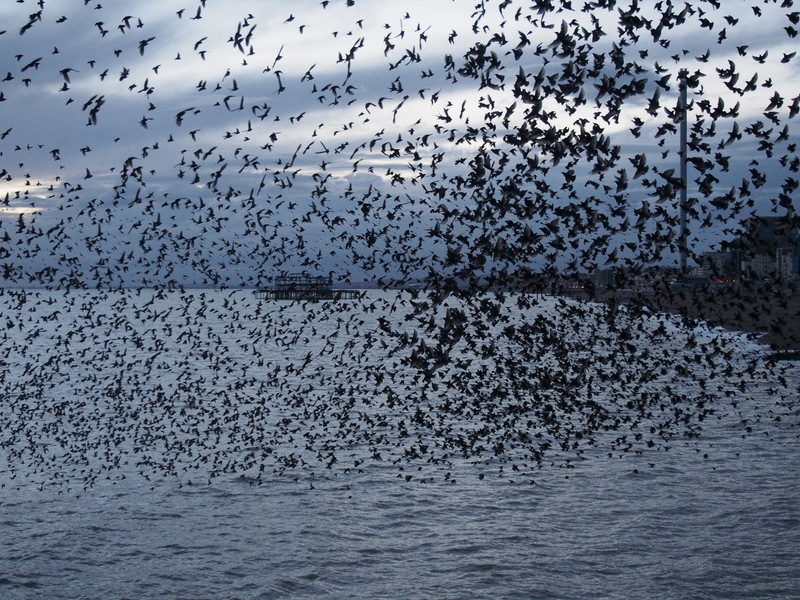 Are there many murmuration sites in Catalonia where you are? That Henry Beston quote has stayed close to me since I first discovered it a few years ago. Although written nearly 90 years ago, it seems apt to our current age and its concerns. Thanks for the good wishes and hope all is well with you! Interesting to see about the tractor fires – many thanks! Thank you very much – that’s very kind of you to say. Delighted you enjoyed it! Teamwork … something we humans pride ourselves on, but don’t always – or perhaps often – manage! So very true, Dave. Which is why is seems even more wonderful when we do manage it! To appreciate it in other species is a start … and helps us to revere nature, not something we often manage either! 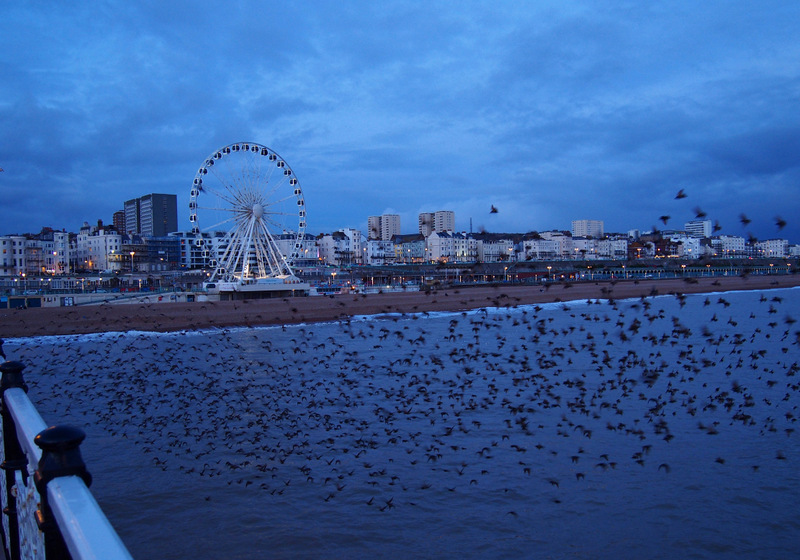 Excellent footage, stills and writing from your latest visit to Brighton Pier! I, too,thoroughly enjoy your work and am inspired by it on many levels…. Thank you for all that you share. Your quote from Henry Beston sent me re-browsing my copy of “Outermost House” – I found myself re-reading passages and appreciating it in a new light, specifically because of your patient manner of observation that you chronicle in “Small Heart of Things.” It’s easy to compare the two books. Your eloquence and imagery bring me great comfort in sorting out, slowing down and observing through the rather hectic fast-paced life I lead here in Boston, Massachusetts, USA. 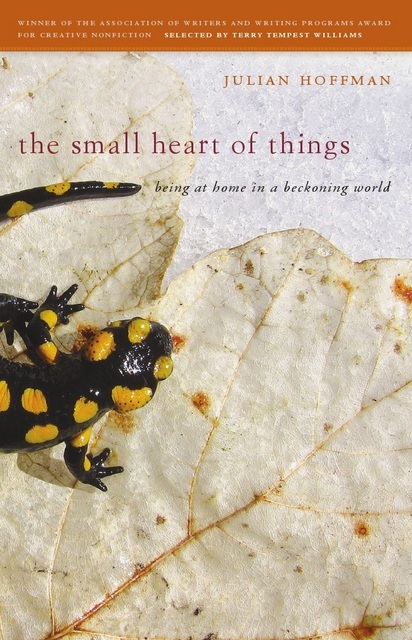 Journeying through “Small Heart of Things” is a delight – unassuming, poetic, a beauty of an education. Best wishes and keep up the excellent work. I look forward to more. Occasionally I read a comment that I find deeply moving on a number of levels, and yours is one of them. Thank you so much for the kind and generous words. ‘The Outermost House’ is a real favourite of mine, so to have my book compared to it is an enormous honour. It’s wonderful to hear how you’ve enjoyed the book, and I really appreciate that you took the time to get in touch and share your thoughts as well. You’ve made the day memorable. Thanks again and best wishes to you in Boston. One day you’ll have a reading in Los Angeles? I would love to listen to you! So true about people stopping to watch as nature invades and beautifies their worlds before taking leave – at the beach, surfers stopped to watch a gray whale breach and then take deep breaths that burst through the waves they should have been paddling towards. Despite the seemingly unformed ‘nation’ of birds, there was surely a type of leadership established. Witnessing this, or a chevron of pelicans skimming the ocean…we should be honored.